The New York Giants are in dire need of offensive line support, and thanks to the Chicago Bears, one stellar option has become available in free agency. The Bears have declined to pick up Josh Sitton’s contract which allocated $8 million to him in 2018. The four-time Pro Bowl guard is up for grabs on the market, and he has become a very enticing option for the Giants. Sitton, 31, started in 25 of the 26 games he played in Chicago, but saw injury struggles in 2017. Sitton could be a cheaper, more reliable options at left guard over Justin Pugh who would likely garner $9-10 million per-year. How good is Josh Sitton? According to PFF, Sitton grades out at an 86 overall, landing him in the “high quality” section. He also is ranked as the 5th best guard in the league compared to his counter-parts. 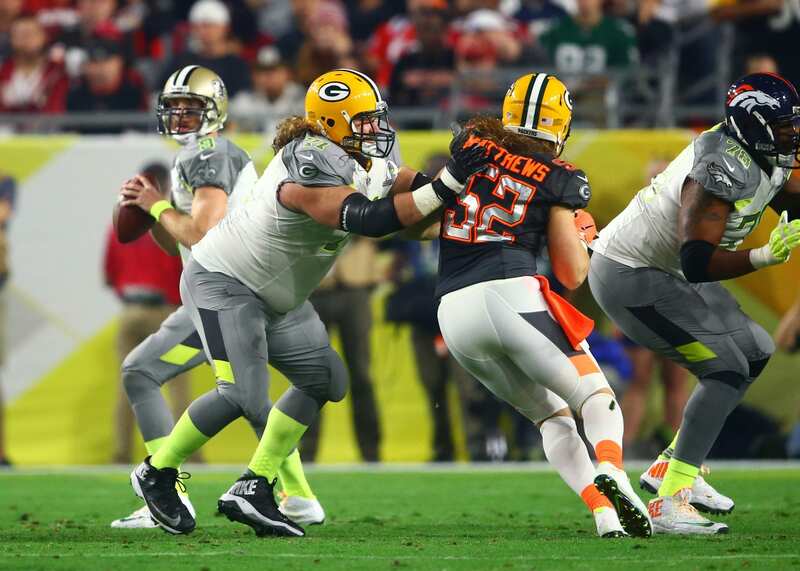 Sitton was a superb run and pass block for the Bears and the Green Bay Pakcers. Adding him would help solidify the left side of the line, and ultimately Eli Manning’s bling-side. Sitton will be significantly cheaper than Panthers’ Andrew Norwell, but he’s also older and not as durable. If the Giants want to take a cheaper route and hope to find a new left guard in the draft, signing Sitton would be the ideal move here.